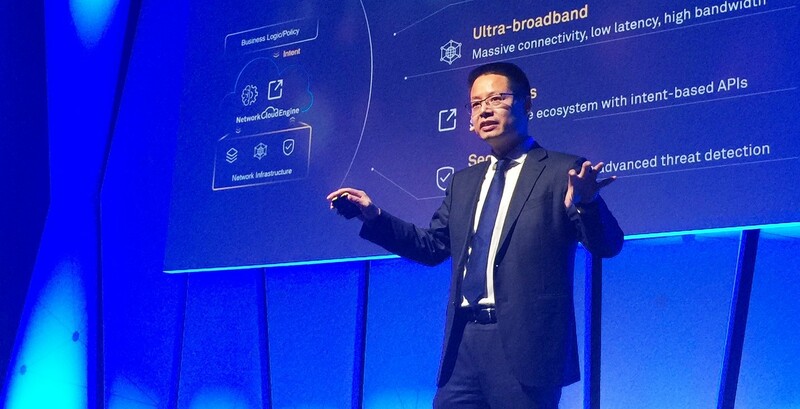 Huawei’s Global Industry Vision (GIV) predicts that by 2025, there will be 100 billion connections worldwide. The Internet will be accessible to 77% of the world’s population; broadband connections to 75% of homes; and 80% of people will have mobile phones. This enhanced connectivity will be the cornerstone of an intelligent world. Huawei has already deployed 380 SDNs worldwide, including over 100 for telecom carriers. An increasing number of carriers are aware that end users are demanding a better service experience. They need fast provisioning of services; network breakdowns to be fixed quickly; and no breaks anywhere in the chain that might affect their network service quality. Today’s operations and maintenance (O&M) systems, still based squarely on the physical equipment, cannot address these needs. Huawei’s Intent-Driven Network solution will enable carriers and businesses to deliver solutions such as 5G bearer networks, home broadband networks, enterprise private lines, campus networks, data center networks, IP and optical transport networks and security. It will help Huawei’s customers maximize their business value.